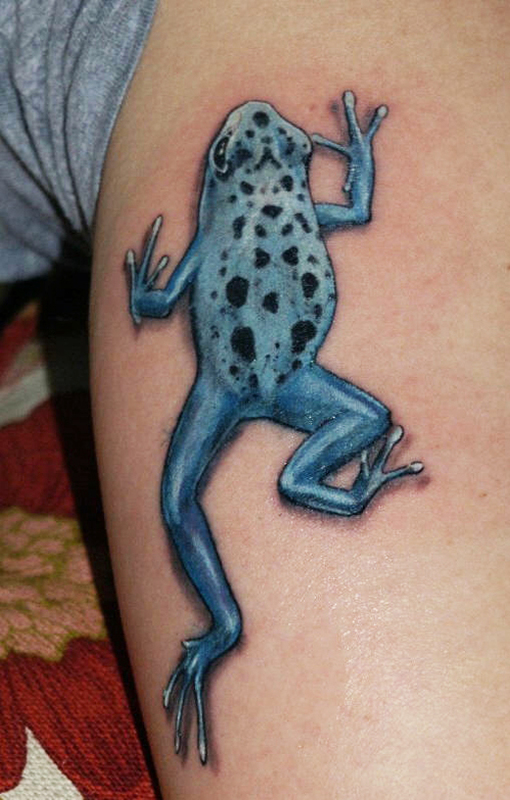 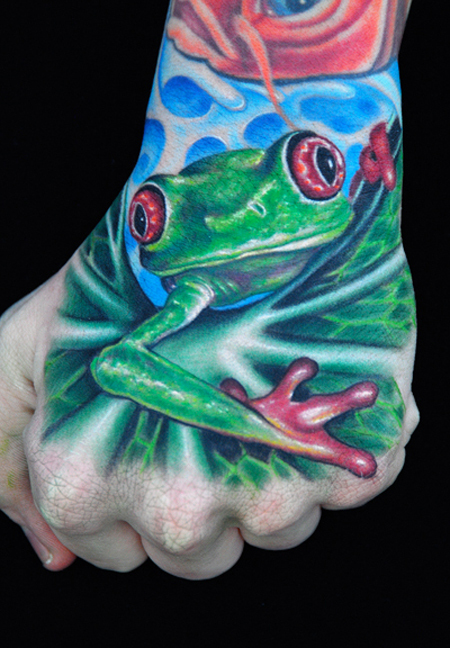 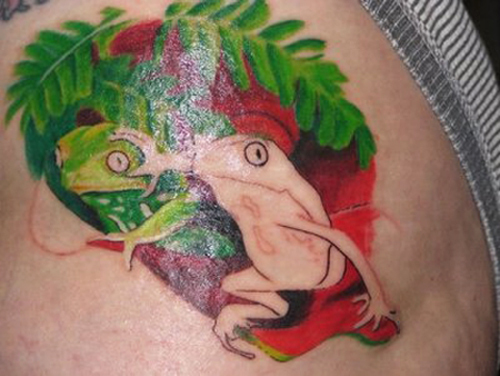 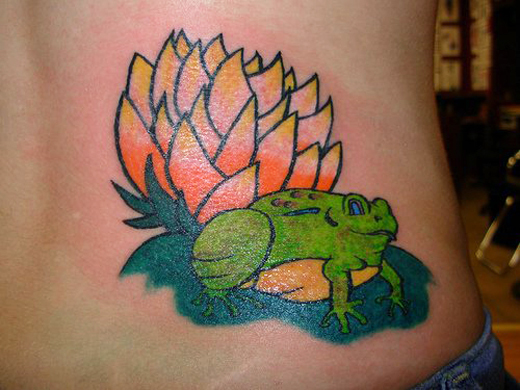 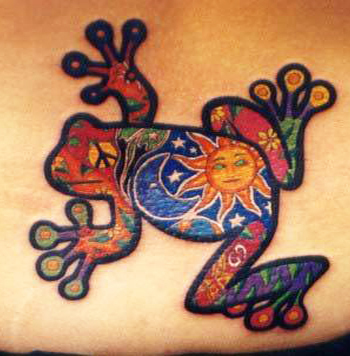 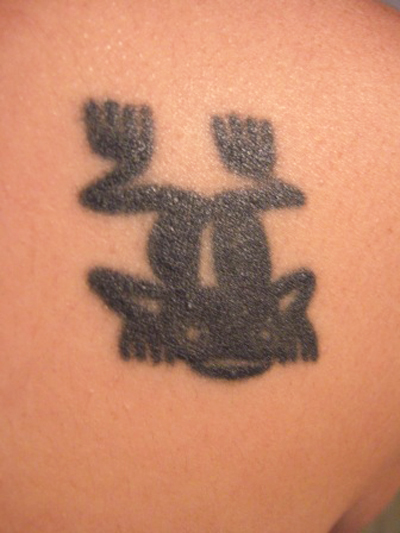 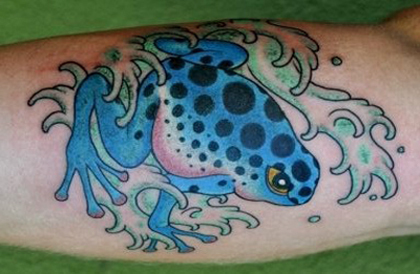 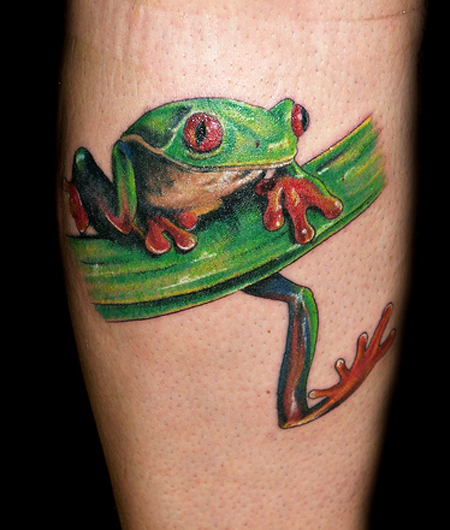 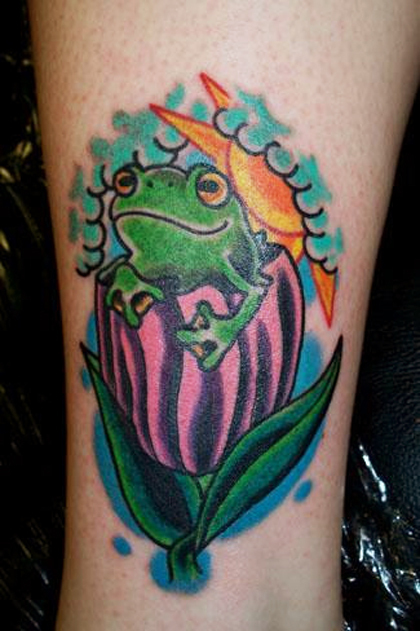 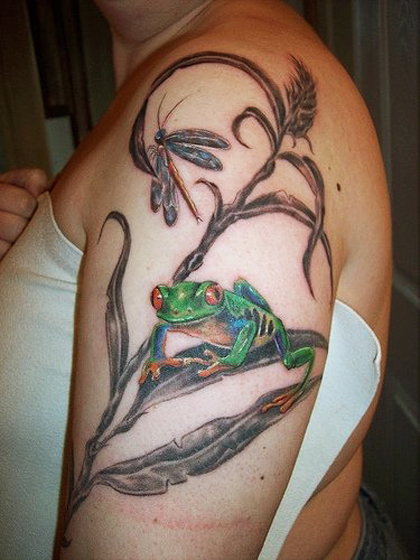 Frog is one important animal that has always been preferred for animal lovers and tattoos art. 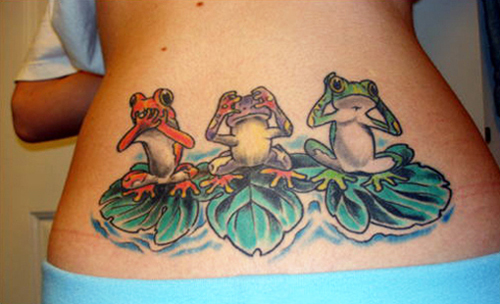 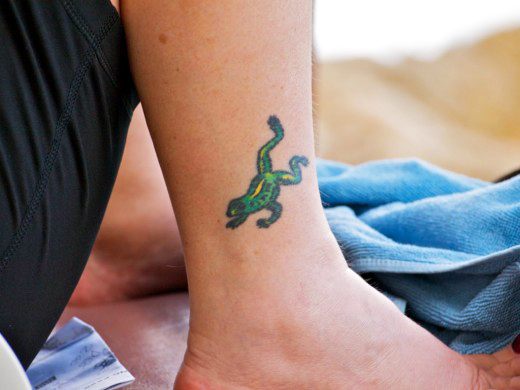 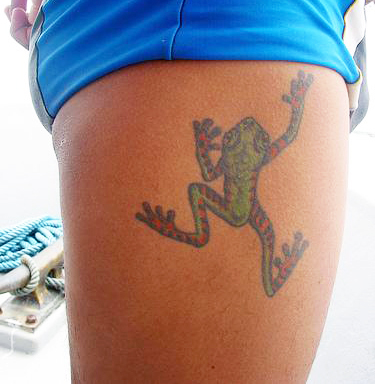 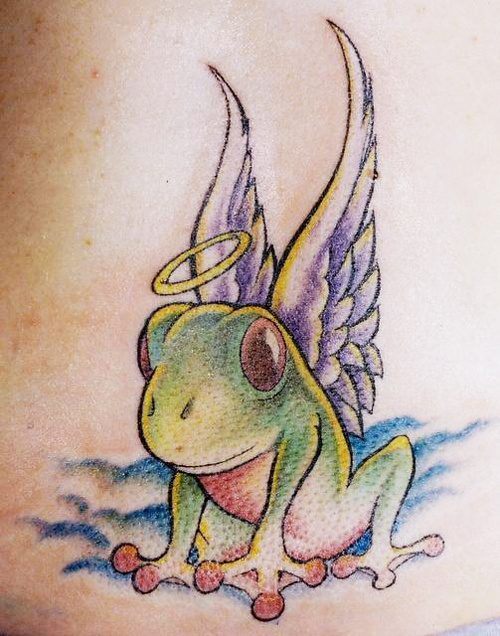 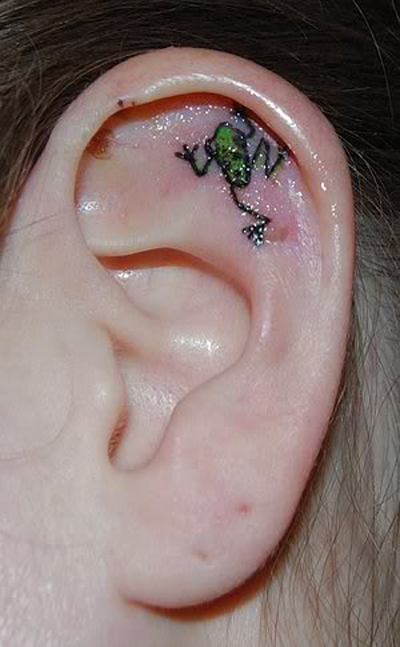 Frog tattoos are highly symbolic but also really cute and funny. 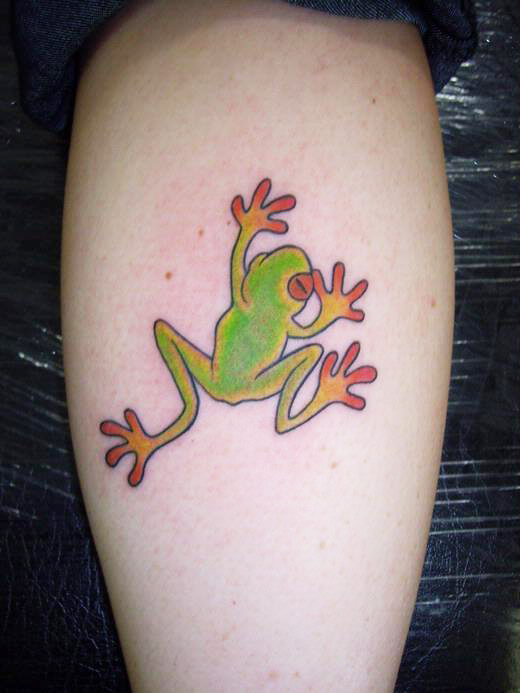 Frogs have an extremely sensitive skin on it’s body which is thought to be magical. 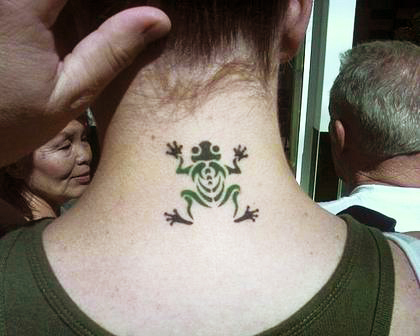 They are normally displayed as armbands, on the lower back, ankles, shoulders, upper back, chest etc. 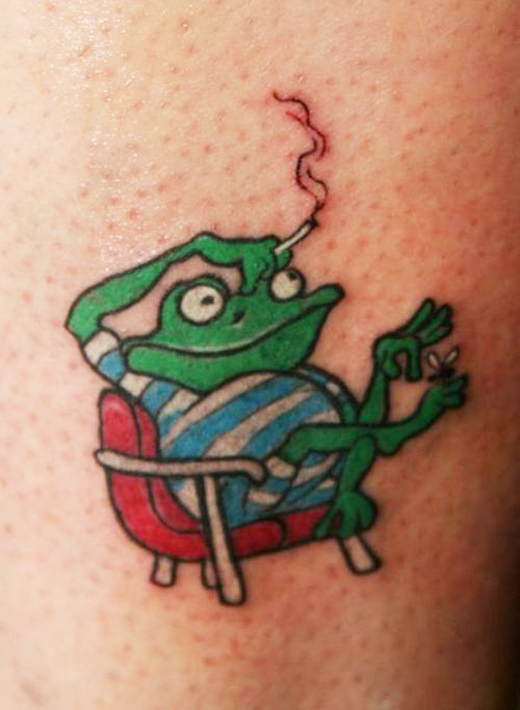 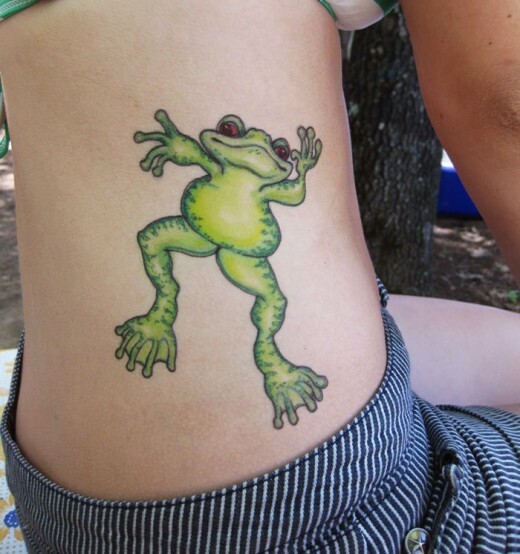 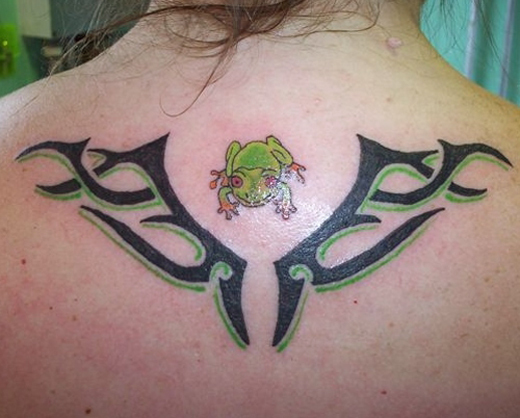 There are lots of frogs tattoos pictures on the net. 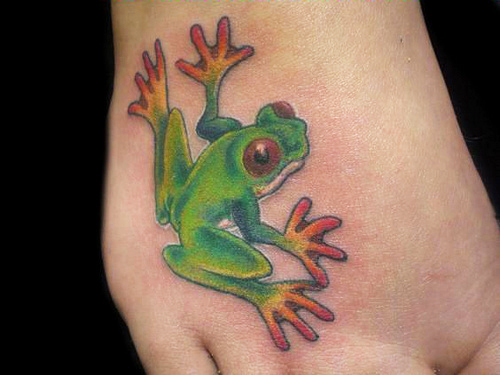 They vary in quality, even the pictures here some are vector and some are not. 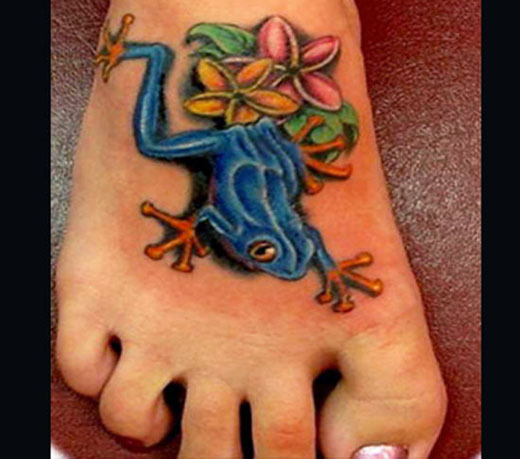 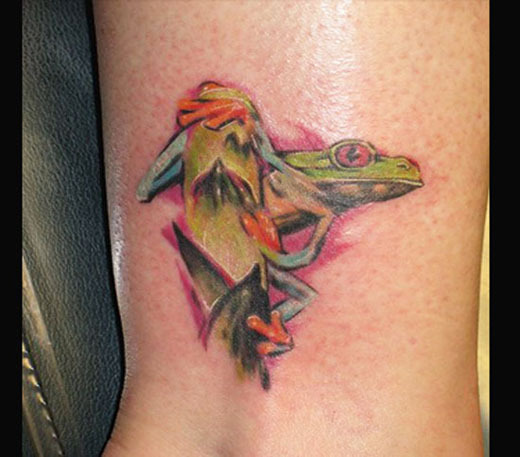 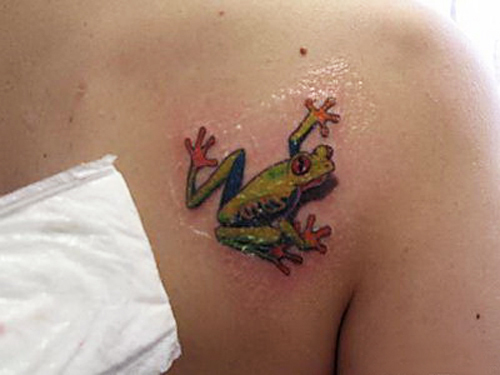 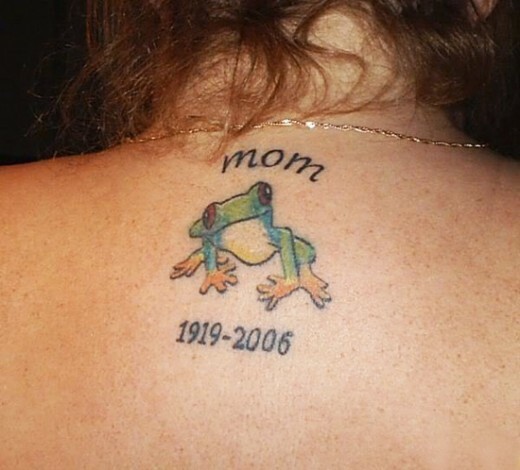 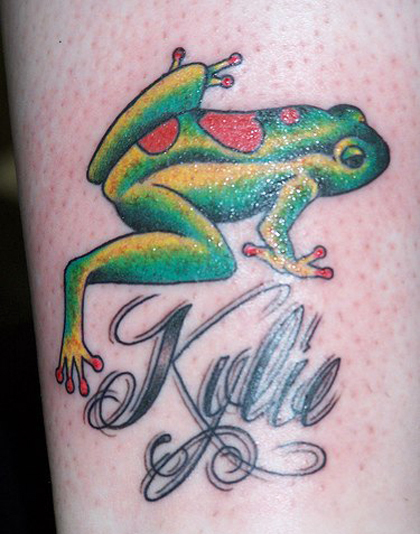 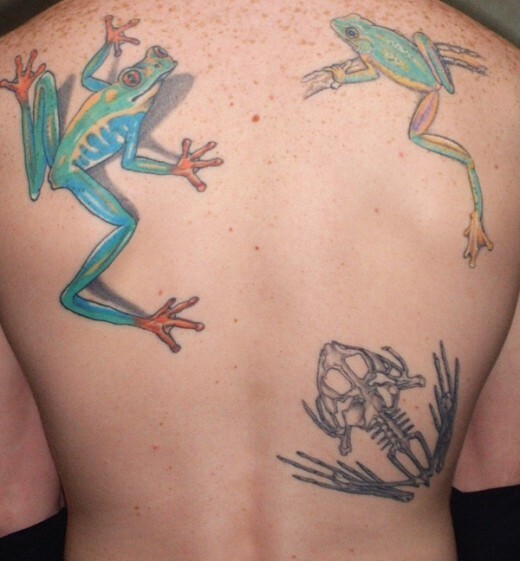 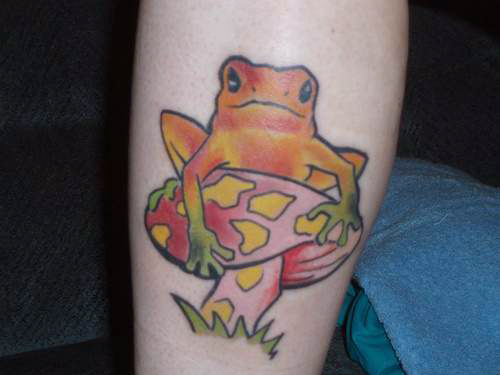 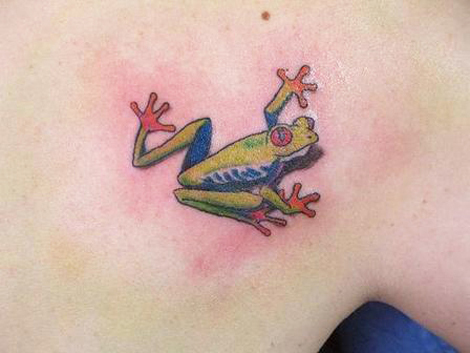 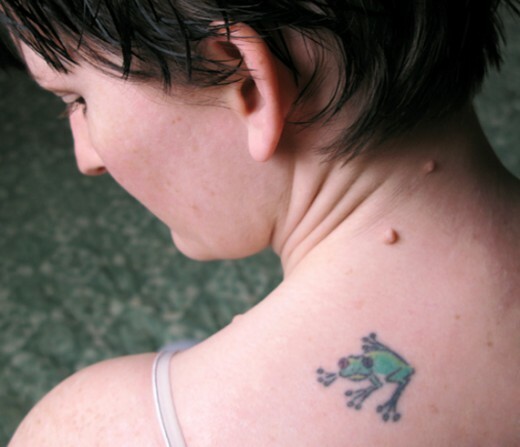 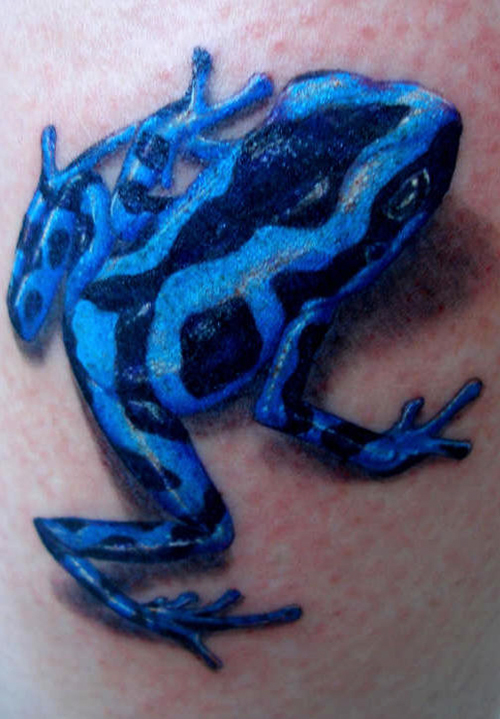 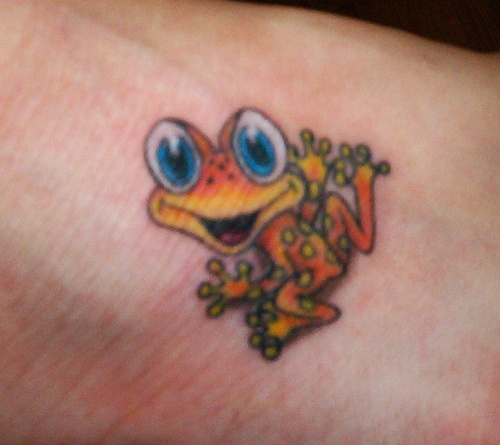 Unless you are doing your own frogs tattoos it is best to check out your tattooist and see if they can use your picture. 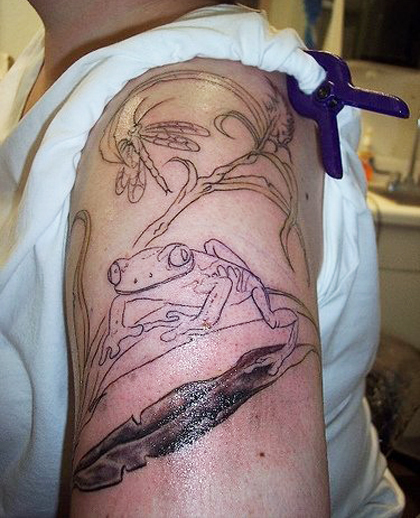 My local tattooist is quite happy to use any picture, but perhaps some are not. 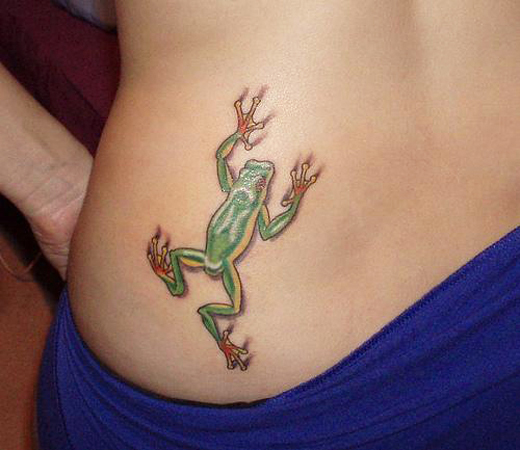 Frogs are the only reptile that girls think are cute. 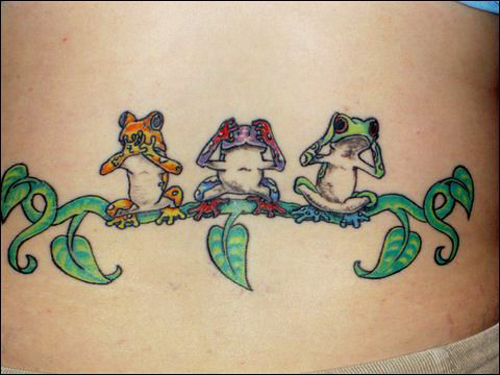 They think they are so cute they even get frog tattoos. 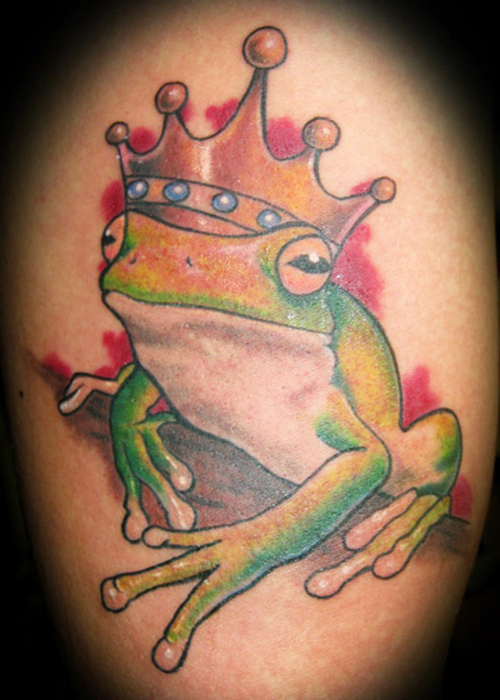 Frogs have normally been associated with magic as in the Princess kissing a frog and turning him right into a Prince.